If you are looking for a Melbourne jeweller to handcraft you an impressive custom celebration ring, GN Designer Jewellers will work alongside you, employ your design goals, and create a unique custom celebration ring. Whether you are searching for something contemporary and stylish, or traditional and sophisticated, the team at GN Designer Jewellers in Melbourne will take the time to get to know you and deliver you with your dream custom celebration ring. At GN Designer Jewellers we create distinctive diamond engagement rings, beautiful wedding rings and a wide range of other bespoke jewellery, all on-site in our Melbourne store. We encourage you to visit our workshop and showroom anytime to discuss options for your custom celebration ring with our team of skilled professional designers, ring makers and jewellers. Our team will source or craft a custom celebration ring that you will love for a lifetime. You may be after a traditional design or something more modern, and we can create a custom celebration ring that perfectly symbolises any person or occasion. We have some of the finest craftspeople using the very best valuable metals and stones, delivering bespoke custom celebration rings in Melbourne. GN Designer Jewellers are experts when it comes to custom celebration rings. 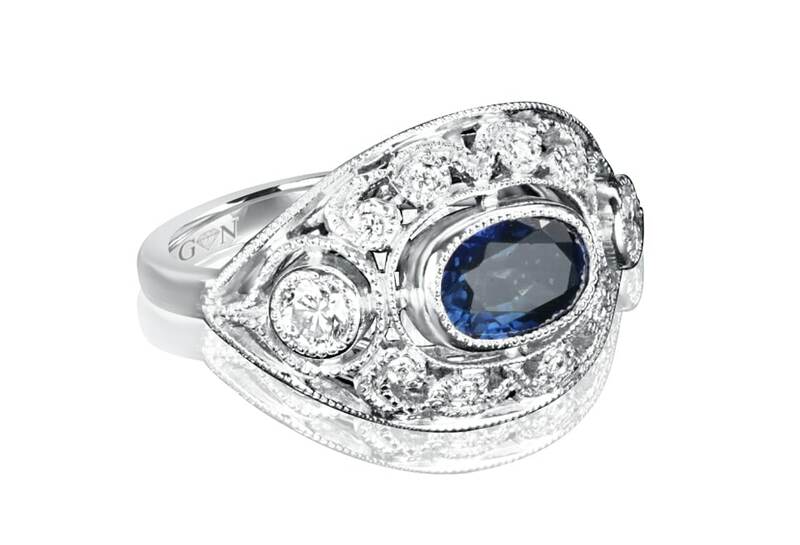 We can answer all your questions about which diamond is best for you, whether you want to create a unique piece incorporating a birthstone – sapphire, ruby or topaz, a favoured precious jewel, or the classic diamond – GN Designer Jewellers can include any personal symbolism into a magnificent custom celebration ring. We stock a wide variety of beautiful precious stones that are sure to astonish, and we can assure you will find a stone that suits your needs perfectly. Our skilled ring designers can then work alongside you to create a custom celebration ring that perfectly represents the person or occasion you are celebrating. If you are looking for an engagement ring, wedding bands, or jewellery to celebrate any occasion, GN Designer Jewellers can supply you with the goods. We have a considerable range of beautiful jewellery, and we also stock an abundance of loose precious stones and have on-site designers and expert crafters ready to fulfil your jewellery needs. If you are looking to commemorate a birthday, anniversary or significant milestone, celebrate with one of our precious stones. At GN Designer Jewellers in Melbourne, we have more than 20 years of hands-on experience in designing and crafting jewellery. We provide our customers with carefully handcrafted custom celebration rings. Our team of expert jewellers will take the time to get to know you to create a unique piece or choose the perfect symbol from our extensive range of expertly handcrafted celebration rings. For more information about custom celebration rings in Melbourne, you can contact GN Designer Jewellers on (03) 9602 2153, or stop by our store located at 62 Hardware Lane, VIC Melbourne Australia.